After viewing this List, you may wish to re-think buying any products from these Companies. who is opposed to them and who is in favor of them. Those in favor, are nearly every single food producer in the world and those who opposed, are educators and concerned consumers, or people just like you and me, who want GMO’s labeled. 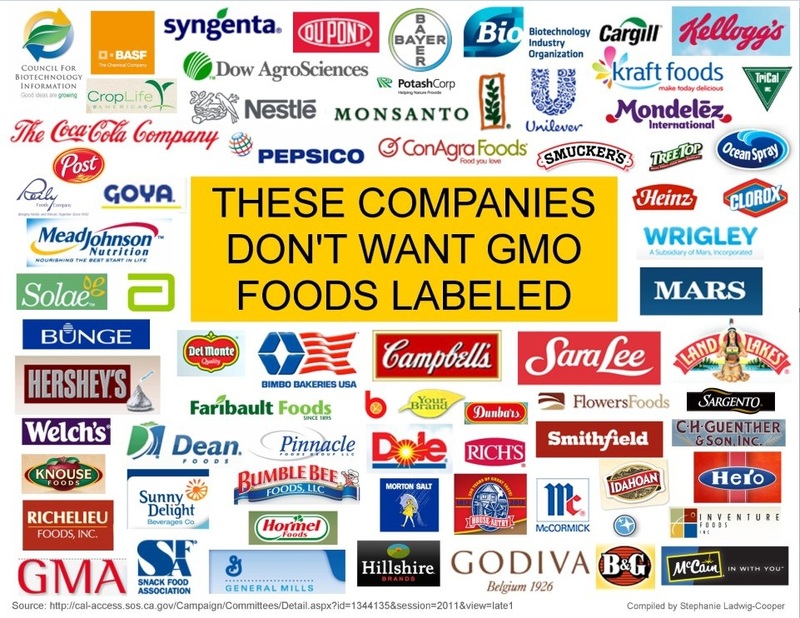 If they are not dangerous, as the food Corporations you see listed in the Box above, consistently claim, then what is the problem with letting everyone know? But, you see there is a problem, they fear that the educated consumer will learn the facts and refuse to buy them, this in turn will cost them millions/billions in lost sales and revenues. And that is a reality check, that they never want to have to deal with. A closing thought about GMO’s. Would you like to know where it all began? While in Nursing School many years ago, one of the books we were instructed to read for a Biology Class, was about Mendel and his study of Peas. Mendel would later become known as the “father of modern genetics” and his lifetime of work has been studied, dissected, analyzed, rejected and praised, not bad for a quiet man of the cloth, who simply wanted to understand why plants had such diversity. This was the beginning of genetics.